Two solicitors accused of misusing £573,000 lent to their law firm by the controversial Axiom Legal Financing Fund have been cleared by the Solicitors Disciplinary Tribunal (SDT) – in part because they relied on assurances given to them by Richard Barnett, who was subsequently struck off himself for misusing Axiom money. David Fenton Wingate and Steven Edward Evans, who are the partners of Manchester personal injury firm WE Solicitors, were each fined £3,000 for holding back payment of professional disbursements in breach of the accounts rules, the most minor of the multiple allegations against them. The Solicitors Regulation Authority, which received just 5% of its £114,000 costs in recognition of what was largely a failed prosecution, is now appealing the ruling to the High Court. Mr Barnett is also appealing his strike-off. The case turned on the funding agreement between Axiom and the firm, the aim of which, on its face, was solely to fund PI cases. However, Mr Wingate said discussions with representatives of Axiom – a man named by the SDT as ‘Mr H’, and Mr Barnett – made clear that the firm could use the money in other ways. The tribunal accepted this. The 118-page SDT ruling recorded that by 2012, WE Solicitors was in financial difficulty. It owed approximately £937,000 to HBOS and the solicitors had both given personal guarantees of £50,000 and provided a debenture to the bank. Monthly repayments were due to rise from £8,000 per month to £23,000 per month from September 2012, which the firm would not be able to afford. As a result, it was looking to refinance its debt and, with more conventional options not available, applied to Axiom for a facility of £1.85m. A £5m facility was provided, and an initial £573,000 was used to pay HBOS £450,000 in settlement of the firm’s indebtedness, £20,000 to pay dividends to the two partners, £27,047 to pay HMRC, £11,535 to pay Lease Direct, and the rest funded the firm’s general office expenses. However, in large part due to Axiom’s ‘facilitation fee’ of 50% of the sum lent going to the fund manager, the firm had borrowed £900,000 and failed to repay it when it fell due a year later. Shortly after, the receivers of the Axiom fund agreed to accept £300,000 in full and final settlement. WE Solicitors was one of the last law firms to receive funding from Axiom. 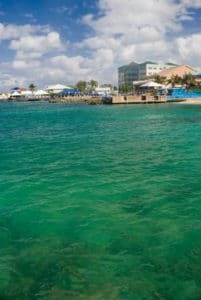 In August 2012, reports started to emerge of potential fraud behind the Cayman Islands-based fund, which is now in receivership and the subject of legal action by the receivers, although the SDT made no finding on whether there was a fraud. Axiom’s collapse caused difficulties for several law firms in England and Wales, and more cases are to come before the tribunal. At the time of the SDT’s hearing in December, it was aware that Mr Barnett had been struck off but had not seen the judgment. In any case, it proceeded on the basis of what the solicitors would have known in 2012. The tribunal said that “whilst greater vigilance and consideration would have been desirable”, it could not be sure that there had been “any impropriety in relying on the assurances of an apparently respectable solicitor”. While Mr Wingate had been “unwise” to enter into an agreement which was not properly documented, the SDT said it could not be sure that the solicitor “had had any appreciation that he was or may have been ‘conned’ by Mr H, Mr Barnett or others. This was particularly as the solicitor was in “a period of considerable professional pressure and had not turned his mind to matters which he ought to have considered if he had acted prudently”. The tribunal said there was no evidence before it to show that such a high facilitation fee was unusual or should have caused Mr Wingate to be suspicious. The one admitted and proved allegation against both solicitors related to holding back payment of professional disbursements, such as counsel’s fees. The tribunal accepted that they did not know that their practice of delaying payment amounted to a breach of the accounts rules, and that they had shown insight into their misconduct. “The harm done to the reputation of the profession was not the most serious,” it concluded, but said that it was “important that partners had in place proper processes to ensure compliance”. An “appropriate and proportionate sanction” was a fine of £3,000 each. In making the costs order, which also included the £20,000 cost of the investigation, the SDT said the proceedings had been properly brought and prosecuted, and that the solicitors “had, to a considerable degree, brought these proceedings on themselves as they had failed properly and fully to record what they had asserted were the true terms of the funding agreement”.